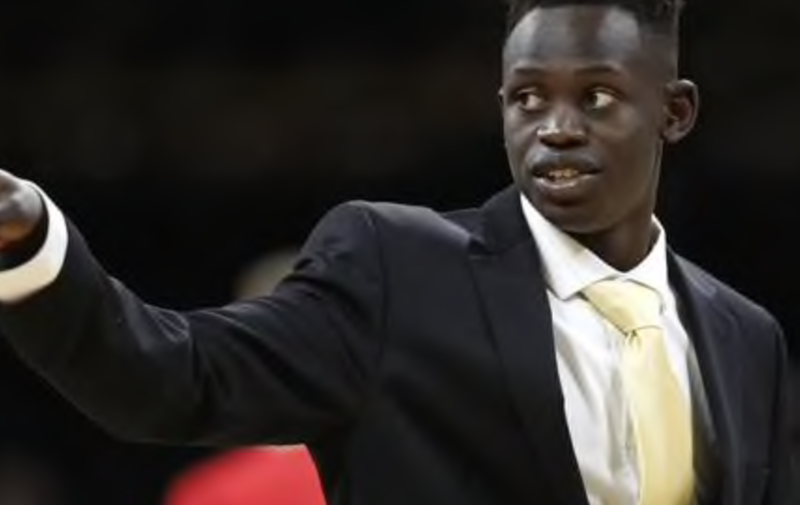 IOWA CITY, IA- The Iowa Hawkeyes were without their star player Peter Jok as he was sidelined with a back injury. Other players needed to step up and boy did they ever. Brady Ellingson led the way off the bench for the hawkeyes with a team high 17 points. Forward Ryan Kriener had 14 points to go along with seven rebounds. Freshman Tyler Cook went 5-9 form the field to finish with 13 points in the contest. Buckeyes head coach Thad Matta was not too keen on his team’s defense. “I tried everything I had in my arsenal tonight. It just wasn’t clicking,” Matta said. Coach Fran McCaffery was impressed with the defensive effort that his team put on the floor. 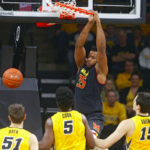 Iowa had 41 rebounds, five steals, and five blocks in the defeat of the buckeyes. 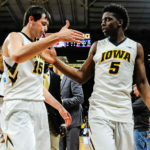 “For us to defend the way we did… for us to execute the way we did, I think it is a big step for our program,” McCaffery said. Additionally, the hawkeyes held the buckeyes to 29 points in the first half and 7-22 from three-point range the entirety of the game. Brady Ellingson, as mentioned, went 6-9 from the field to score his team high 17 points. The hoop truly felt like an ocean to him. “We ran a play and went off a ball screen and had a good look and let it fly,” Ellingson said. Those kinds of opportunities were plentiful as the hawkeyes made exactly 50 percent of their shots from the field Saturday night. The hawkeyes will travel to Piscataway, New Jersey as they will face off against the Rutgers Scarlet Knights. Tipoff is set for 6 p.m. central Tuesday night.